Scores of volunteers have given UPI similar accounts in the past three years during an investigation of the side effects of Lariam. A letter in the current issue of National Geographic Adventure magazine from three Peace Corps volunteers who served in Africa calls the drug's psychiatric side effects "almost unbearable." 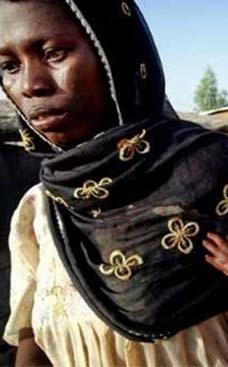 The Peace Corps has never acknowledged any significant problems among volunteers due to Lariam. In response to Pryor's assertions, Peace Corps officials said the drug is safe for long-term use, alternatives are available when medically appropriate, and Pryor's case was handled correctly. WASHINGTON -- A former Peace Corps volunteer said the controversial anti-malaria drug Lariam triggered such severe mental illness she had to leave her post -- but the agency is ignoring the problem. An alternative drug with fewer side effects is almost impossible to obtain, she and other volunteers said. "I took the drug for about eight months and experienced depression, vivid nightmares, paranoia, hallucinations and lethargy," Emilie Pryor, a volunteer in Ecuador until earlier this year, told United Press International. "I became afraid to even leave my apartment to take my dog for a walk. I hated going to sleep at night because I was afraid I was going into a different world -- then when I woke up it was difficult to determine what was real." Scores of volunteers have given UPI similar accounts in the past three years during an investigation of the side effects of Lariam. A letter in the current issue of National Geographic Adventure magazine from three Peace Corps volunteers who served in Africa calls the drug's psychiatric side effects "almost unbearable." 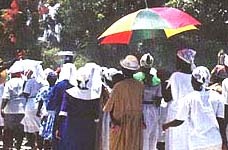 The Peace Corps has never acknowledged any significant problems among volunteers due to Lariam. In response to Pryor's assertions, Peace Corps officials said the drug is safe for long-term use, alternatives are available when medically appropriate, and Pryor's case was handled correctly. Pryor was given a written warning of possible Lariam side effects, Barbara Daly, the agency's press director, told UPI. When Pryor told a medical officer about depression possibly due to the drug, she was switched to an alternative. "Her medical records show that prior to that time period, Ms. Pryor reported other illnesses and symptoms ... but had not reported depression, or vivid nightmares, to Peace Corps medical officers." Pryor said she did not realize her symptoms could be due to Lariam but that her mother, who spoke with her frequently, knew something was wrong and the drug could be the culprit. The medical officer switched her to an alternative anti-malaria drug, doxycycline, but by then she was so ill she returned to the United States and left the Peace Corps, she said. Since then, she has continued to suffer from depression and fatigue, but the agency brushed off her concerns, she said. "They mentioned it in passing but said, 'Oh, it should be out of your system by now,' never saying there's some long-term effects to this." She said she has been treated dismissively and had difficulty getting approval for tests to determine if the drug damaged her liver or vision. 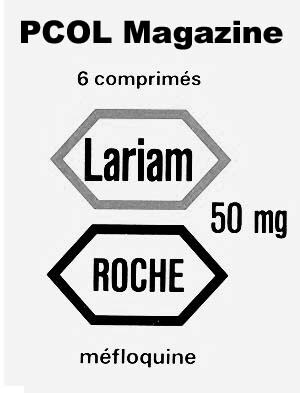 Lariam's manufacturer, Hoffmann-La Roche, acknowledges the drug can cause depression. The official product label also warns of hallucinations, paranoia and psychosis and cites "rare reports" of suicide. It says side effects have been reported to last "long after" someone stops using it. Lariam, known generically as mefloquine, is one of three anti-malaria drugs recommended for Ecuador by the Centers for Disease Control and Prevention in Atlanta. Both doxycycline and Malarone, the third alternative, must be taken daily, while Lariam is a weekly pill. The Peace Corps said studies show people are likelier to remember a weekly dose, and that is one reason Lariam is the agency's preferred anti-malaria drug. Pryor showed UPI a recent e-mail from a Peace Corps nurse in Ecuador that states: "Mefloquine is now the 'drug of choice' for PCVs (Peace Corps Volunteers) for prevention of malaria. There have been breakthrough cases of malaria seen in volunteers taking doxycycline, because of inconsistent use. Though in the past PCVs in malarial sites were given an option in selecting their malarial medication, PCVs will now be required to take mefloquine (except in cases of a contraindication) and can be switched to doxycycline only if there is a documented intolerance." Doxycycline can cause sun sensitivity and stomach upset, making it an unattractive option for some, particularly in the tropics. "I knew from talking to other volunteers that it was hard to get on Malarone" -- only 3 of 36 volunteers in Ecuador were taking that alternative, Pryor said. Daly, the Peace Corps spokesman, said, "Lariam is the medication of choice" but that "the Peace Corps has alternative anti-malaria drugs available." Like Pryor, the volunteers who wrote to Adventure magazine said otherwise. "When we arrived in Guinea in October 2002, we were all given Lariam automatically, as doxycycline and Malarone were not readily available," wrote volunteers Susanna Fioratta, Meghan Greeley and Deb Harris. "When taking this drug over the course of months or years, Lariam's common side effects of dizziness, panic attacks, and nightmares became almost unbearable. We don't recommend Lariam for travelers who would be required to take it over a long period of time." "The volunteers are misinformed," said Nathan Arnold, another Peace Corps spokesman. "It is simply false that alternative drugs to Lariam were not available for volunteers who had a medical contra-indication to Lariam." He said that in 2002 in Guinea, 80.9 percent of volunteers were taking mefloquine, 13.2 percent were taking doxycycline and 1.6 percent were taking Malarone. 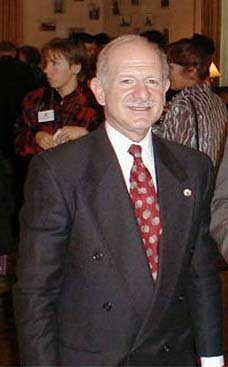 Arnold also disputed claims the drug is not suited for long-term use. "The CDC and Food and Drug Administration have placed no restrictions on the amount of time Lariam can be taken," he said. 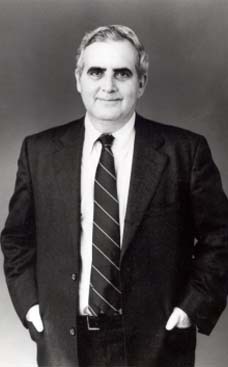 Lariam Action, an advocacy group, said Pryor's experience adds to evidence that the Peace Corps is mishandling the drug. A spokesman called for a congressional investigation. "The Peace Corps displays a reckless disregard for volunteer safety by ignoring the solid scientific evidence proving that Lariam causes significant harm at very high frequency rates -- 29 percent to 42 percent," said Susan G. Rose, the group's co-director. "Moreover, denying that Lariam caused their illness, and possibly permanent brain damage, is deceptive and fraudulent and inflicts needless emotional suffering. Congress must stop the systematic abuse of once-healthy volunteers who suffer devastating consequences at the hands of ill-informed Peace Corps medical personnel." Daly did not respond directly to Rose's comments. Odd. I posted a review of "American Taboo" on Amazon.com last year. That's the book about the Gardner murder on Tonga. So, I reposted it about an hour ago. This time, the review showed up ... but with last year's date on it (grin). Must be some kind of gremlin at work there.